For Sale All Locations, South Carolina, Florence E. Palmetto St. This is an excellent mixed-use development opportunity located on East Palmetto Street (US Highway 76). The property is ideal for a number of uses including hospitality, food and beverage and light industrial services. East Palmetto Street (US Highway 76) is heavily traveled offering convenience to Interstate 95 and in-town Florence. 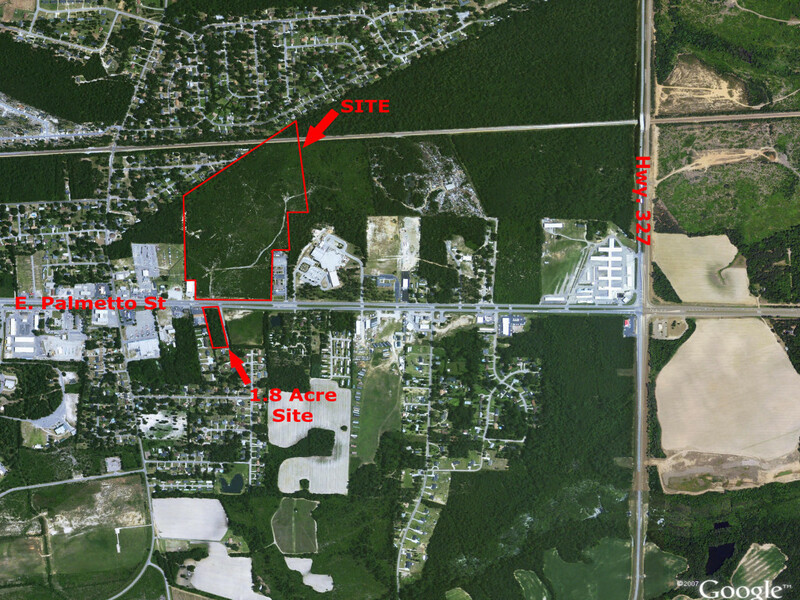 A total of approximately 49.56 acres on Tract A and 1.8 acres on Tract B with great visibility. Tracts range from .86 acres to 2.81 acres in size and pricing from $40,000 per acre to $185,130 per acre. Site plan available upon request.